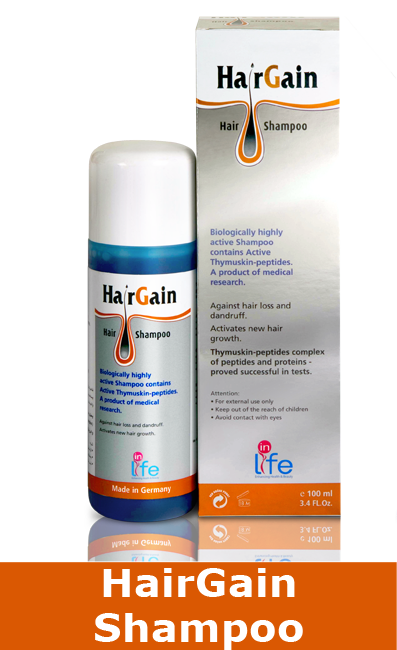 HairGain products are used topically to offer a range that meets the highest expectations in caring for hair problems and redressing even massive damage to the hair, halting hereditary hair loss and activating the growth of new hair. 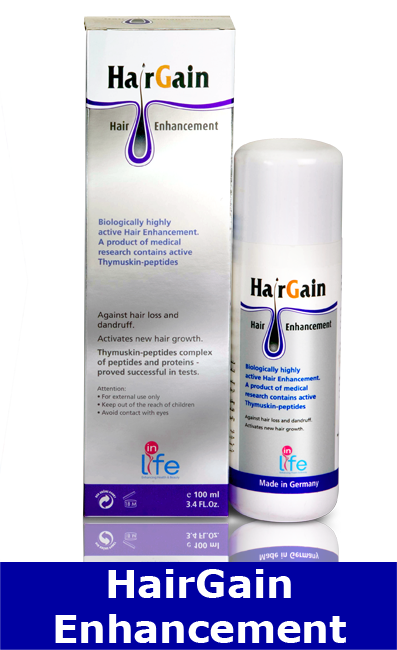 HairGain products are based on a combination of ingredients protected by worldwide patent (scientiﬁc term: nature-identical thymus peptide complex), which contains particularly active peptide compounds for hair care. They maximize conditioning of the hair, ensuring not only perfect hair care, but also effective treatment of the effects of hereditary hair loss. 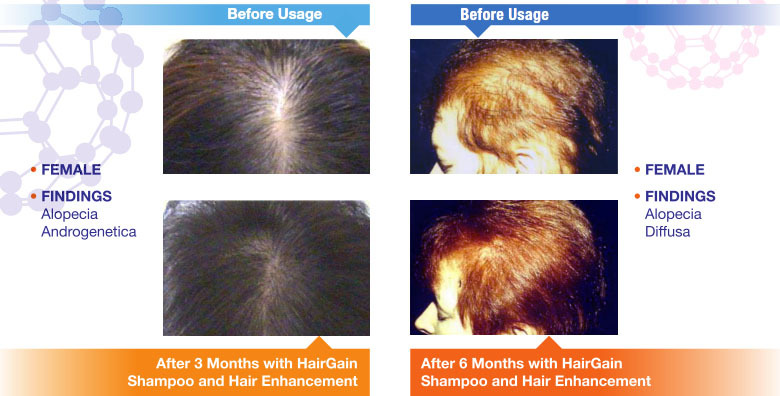 The success of HairGain for hair loss is based on the biological activity of the synthetic ingredient complex. This invigorates and activates the immune defences in the hair and skin cells. 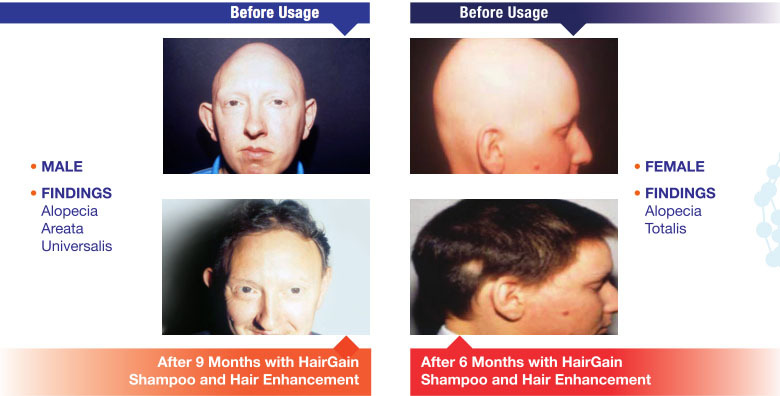 HairGain increases cell vitality, the remaining hair follicles are re-activated, the formation of new hair is stimulated and the growth phase is markedly extended. • Twice per week will be sufficient for prevention of relapse.